Time for a traditional Christmas Carol! But It Can’t Happen Here, Right? LONDON – Britain’s education secretary says he will investigate how local officials removed three children from their foster family because of concerns about the parents’ political beliefs. The Rotherham borough council sparked criticism Saturday when it was revealed that its social workers removed the children, who are European migrants, because their foster parents are members of the right-wing U.K. Independence Party. I’m sure the same actions would have been taken if the foster parents were part of a left-wing party, right? I’m certain that the party’s views on immigration reform played no part in the removal. I mean, England’s never been one to appease an invading force, right? I recently had a conversation with a friend which sparked a bittersweet memory. One of the things many of us miss as adults is the wonder, the surprise, the simple serendipity of joy. In childhood we experience it often, probably because most things and experiences are new to us, and we’ve yet to become jaded. One of my favorite memories of my daughter Molly was when I gave her a gift. She was turning twelve, and I knew just as the Sun rose in the morning that soon she would be developing into a teenager, full of doubt and promise. One who no longer trusted her parents to be all-knowing and truthful. Because, of course, we weren’t and could never be. But here we were, proud father giving his daughter a present. She opened it, her eyes widened, and there was that sudden exhalation of breath. Excitement, happiness, joy. Innocence and appreciation in one second, one breath. Followed by the big hug. I don’t even remember what I had given her. But what she gave me was so much more. An everlasting memory of a happy young woman, unspoiled by the adolescent hormones of parental treachery. Not yet jump-started into that distrust generated simply by being parents and adults. Zen masters tell us to be in the now. Live life as if each moment was your last. This is what Molly showed me that day. I’ve had many difficult times of year. The holidays and my birthday comprise one such time. Not because of those specific events, but rather because of who’s not there. But, I’ve already received my present this year. As I get every year – when I remember it. Live in the now, with joy, and never be disappointed. End of this week is the Crossroads of the West Gun Show, here in Phoenix. This is the BIG show, with 7-8 buildings (exhibit buildings in the State Fairgrounds), separated by a large parking area tarp-covered outside display area the size of another two buildings. Something like 1500 tables. And the Small Arms Review exhibit, as well. Traditionally, I’ve been attending this every year, but the past few years I’ve not been as fortunate. 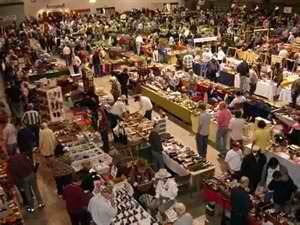 I tried to attend last year’s show, but other health issues occurred. So, I didn’t get to see very much. Those issues have in part been resolved (now wearing ‘ED’, the really big shoe (built-up) – and can walk better). But this year there’s another issue. On my small income, I really don’t have the means to drive across town, and pay parking and admission. Certainly not enough to buy anything. That’s not what I’m requesting. If someone could cover parking and admission for two, it would mean a lot! That’s about $32.00, last I checked. 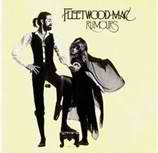 Remember that ubiquitous 70s Fleetwood Mac album? The one comedian Dennis Miller said everyone must have been issued? This post has absolutely nothing to do with it. Great album, though! This post has to do with the current administration doing everything in it’s power (and some things beyond) to further restrict the civil rights of law-abiding American citizens. In short, more gun control. If not by legislative action, by government fiat. Because they believe they can. An anti-gun owner initiative considered in Washington could lead to massive civil disobedience and a severe domestic crisis,” gun law expert John M. Snyder said today. One may hope these are only malevolent rumors. Old Aviators and Old Airplanes…. 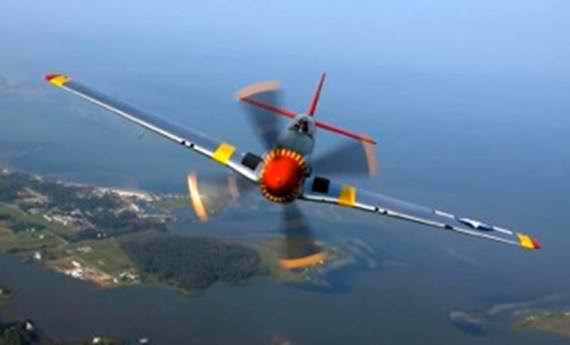 This is a good little story about a vivid memory of a P-51 and its pilot, by a fellow who was 12 years old in Canada in 1967. It was to take to the air. They said it had flown in during the night from some U.S. Airport, the pilot had been tired. I know we still retain the possibility to be again what we once were, but I’m afraid that entropy will win in the end. The culture of a nation reflects the philosophy of that nation, and ours is no longer that of John Locke and Adam Smith, but rather Jean-Jacques Rousseau, Immanuel Kant and Karl Marx, when it isn’t just “…a junk heap of unwarranted conclusions, false generalizations, undefined contradictions, undigested slogans, unidentified wishes, doubts and fears, thrown together by chance, but integrated by your subconscious into a kind of mongrel philosophy and fused into a single, solid weight: self doubt, like a ball and chain in the place where your mind’s wings should have grown” as Ayn Rand put it. Please visit the TSM link above and read the whole essay. And perhaps get a little misty, as did I. Thanks, Kevin (and his friend Dave)! PS – a party was feted in my honor November 16, brought together by my ex-wife(?!). She contacted friends and relatives and we all met at my favorite pizza place. Thanks, again, everyone! While it wasn’t exactly back stage with the Stones, everyone seemed to have a good time. I just finished a conversation with my Roomie today with regard to this Robert A. Heinlein (PBUH) concept. There Ain’t No Such Thing As A Free Lunch. Perhaps if capitalists who ran businesses were painted as helping their employees by providing jobs and benefits (or not), instead of evil rich robber barons praying on the poor, this concept would be more widely accepted. I recognize in today’s United States, some folks have little choice on where to work or for what wage. And relocating may not be a viable option. There are company towns. This is why unions developed. But now, unions cost the workers (much as the robber barons did) and cost their employees jobs, or even careers (witness Hostess), while the companies go bankrupt and the union bosses get richer. And card check deprives the union member of a secret vote, allowing undue influence and/or coercion to influence union votes. It’s funny how the Internet weaves it’s news so some folks blame management for a business’ demise (by not knuckling-under to union demands), other folks blame the unions (the rank-and-file. translation: class warfare). And some folks blame the union bosses. And now it’s reported a Mexican baking concern may take over this confection bakery business. Think of it – no HFCS, no GMO, no unions, cheap labor, jobs for the poor. And free market/free trade in action. And El Twinkies return! As I’ve posted before, Thanksgiving is my least favorite holiday. In part, because tradition dictates turkey (which I loathe) and ‘all the trimmings’ (most of which hold neutral memories at best). My birthday always happens around Thanksgiving, and when I was 9 or 10 my parents decided to amalgamate my birthday, my father’s birthday (last week), and my step-sister’s mother-in-law’s birthday all into one big bacchanal. And I was the only kid. There was much overeating of traditional food (see above paragraph), and much over-imbibing. The men took over the living room with the TV for non-stop football and alcohol, and the women were relegated to the hot, crowded kitchen, wherein they groused about the men. Perhaps I’d have felt better had I been able to drink? Generally not fond memories. This past year has been stressful, to say the least. Loss of my house, moving, further financial issues, ongoing medical problems, car troubles and the sudden loss of my good friend Mark. As W.C. Fields said, when he was dying, “On the whole, I’d rather be in Philadelphia!” He hated Philadelphia. But, on the plus side, I still have good friends, family, a support system, and a good friend who opened up her home to me in my time of need. Seriously, this past year could have been a lot worse. I usually brush off Thanksgiving because of the traditional trappings and memories. I’ll continue to do that today, but I AM embracing the tradition of GRATITUDE. I’ve a place to live, a car that runs (knock-on-wood), and friends and family who support me. And folks all over the World who read and comment on this blog nonsense! Many of whom have become friends. In spite of the few bumps in the road, it doesn’t get any better than this! Here’s hoping you all have a blessed, safe, and Happy Thanksgiving. We’re having lasagne! Well, the Nation has re-elected the incumbent. In spite of allegations of stealing tampering irregularities of votes (e.g. some voting districts in Ohio reportedly had 0% Republican turn out!) we got what we deserve. Americans historically don’t like politics, and this time around is no different. We suffered through 18 months of vile political attack ads, then went into the booth, held our respective noses and pulled the lever. And what did we get for our trouble? COOL. After all, American Tradition shows us we vote for the coolest guy. How many generals, admirals, war heroes and other military folk have run for President or Vice President, because for most of this country’s history such people were thought of as cool? Does this mean they are qualified civilian administrators and policy makers? Not necessarily. The advent of modern telecommunication, computers, the Internet and email, coupled with the anti- (fill-in-the-blank) movement, another dimension has been added. Just like cinema of the late 60s/early 70s reflected the counter-culture, so did politics. And cool took on another facet. Suddenly, the cool guy wasn’t the former Army General or the guy whose PT boat was sliced in half by a Japanese destroyer, it was the guy who reluctant served, or the guy who didn’t even serve at all. Suddenly, it’s Dustin Hoffman instead of Audie Murphy; Peter Fonda instead of John Wayne. 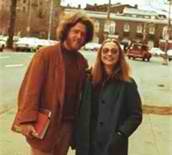 William Jefferson Clinton and Barack Hussein Obama instead of George Bush (either one). There was a time that American ideals meant a Norman Rockwell painting, not a poster from Mother Jones. 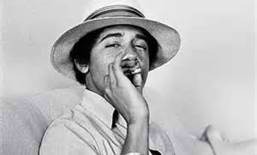 Suddenly it was okay to hold high office having admittedly done marijuana and cocaine in one’s youth. Instead of just drinking. And we got what we deserve. The anti-hero.